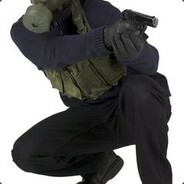 Why do you want to be staff?I would like to help the server and i would like to help with anything to discord to Server raiders on the server and i want to realy help you to become a good server like a Master server. What can you offer that other applicants can't?i dont know maybe i have been admin on some other servers and i know almost all commands. Do you have any previous experience as staff? List server names and IPs if possible. ok so the thing is the servers have been removed they got raided and stuff so yeah sorry. Please put more effort into your application next time. It really does seem like you're only here to be a mod.